This superb 30cm wide gas on glass hob from Fisher Paykel features a 6kW dual control gas wok burner with cast iron pan support. Finished in black glass with a chrome pinstripe detail and turned metal control knobs it will look great in any kitchen. 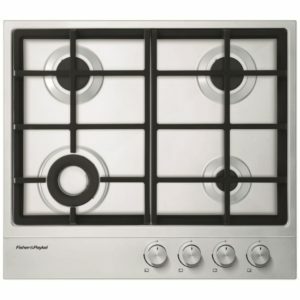 This superb 90cm wide in-line gas on glass hob from Fisher Paykel boasts three gas burners with cast iron pan supports. 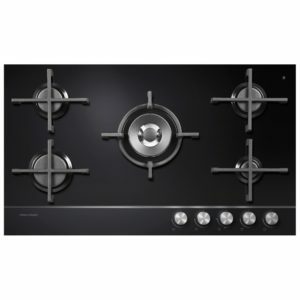 Finished in black glass with a chrome pinstripe detail and turned metal control knobs it will look great in any kitchen. 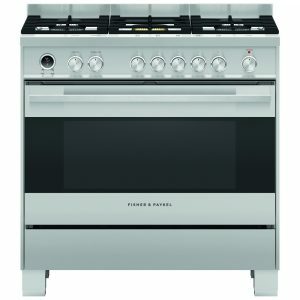 The Fisher & Paykel OR90SDG6X1 pyrolytic single cavity range cooker features a 5 burner gas hob and a 120 litre multifunction oven with an internal grill. There is also a full width variable temperature warming drawer at the bottom. The contemporary design and clean lines in stainless steel will complement the style and elegance of any modern kitchen. 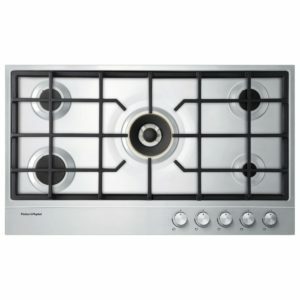 This superb 30cm wide LPG gas on glass hob from Fisher Paykel boasts two gas burners with cast iron pan supports. 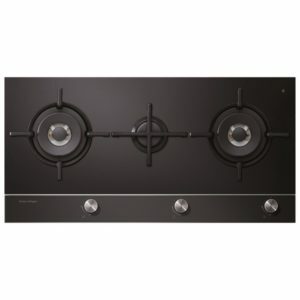 Finished in black glass with a chrome pinstripe detail and turned metal control knobs it will look great in any kitchen. 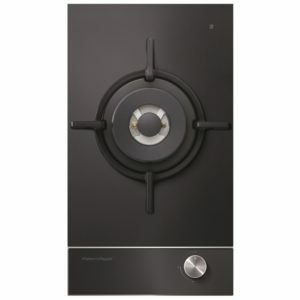 This superb 90cm wide LPG gas on glass hob from Fisher Paykel boasts five gas burners with cast iron pan supports. Finished in black glass with a chrome pinstripe detail and turned metal control knobs it will look great in any kitchen. 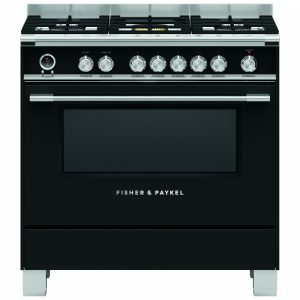 The Fisher & Paykel OR90SDG6X1 pyrolytic single cavity range cooker features a 5 burner gas hob and a 120 litre multifunction oven featuring an internal grill. There is also a full width variable temperature warming drawer at the bottom. The classic design with rail will complement the style and elegance of any kitchen. 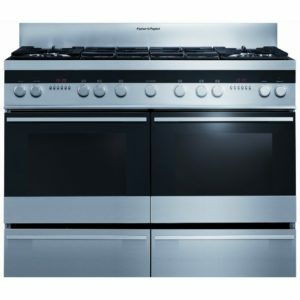 This fantastic double oven from Fisher & Paykel offers fantastic cooking space, with 2 ovens offering 58 litres of room in each cavity! The main oven has 7 functions to pick from so you can always pick the perfect option for your meal. There are hassle free features like catalytic liners that break down grease, telescopic runners and cool touch doors, making maintenance and use so simple. 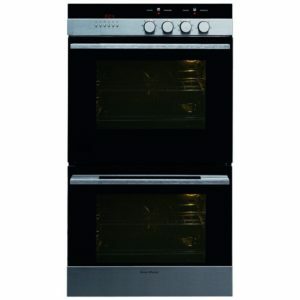 You will wonder what you did without this brilliant double oven! As it is an unusual height, do be sure to check your measurements! Perfect as part of a Domino Hob design, this powerful LPG dual burner will provide great performance, so you can cook some excellent food! With a black glass base and chrome pinstrip detail, it has a simple and timeless design. 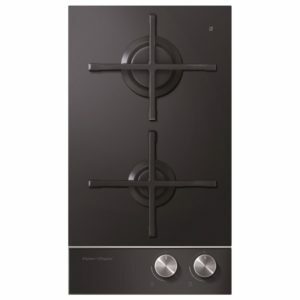 This superb 90cm wide gas hob from Fisher Paykel boasts five gas burners with cast iron pan supports. Finished in stainless steel it will look great in any kitchen.